Propane is one of the cleanest burning, environmental-friendly and cost-efficient fuels available. 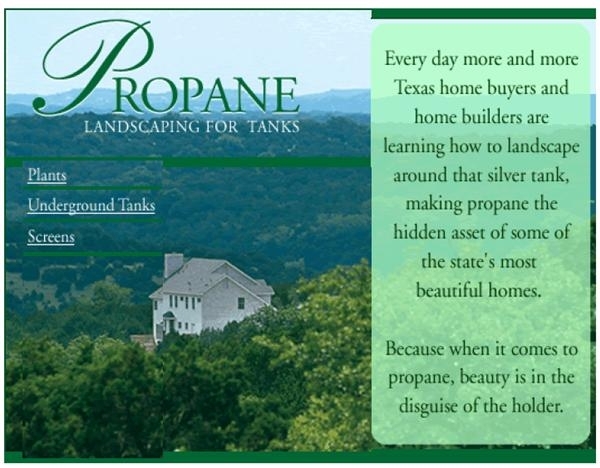 But let’s be honest: those big silver tanks that hold propane aren’t exactly the most attractive architectural addition to a home or business. Creative landscaping can often turn a potential eyesore into a hidden asset. However, keep in mind there are numerous local and federal codes that govern where and how propane tanks can be installed. Trust the service experts at Douglass Distributing to provide you with technical assistance on the optimal tank location and safety distance requirements.